Robot revolution: Is it a threat to your business? 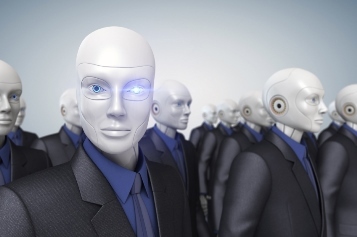 Robo-advisors: a welcome advance to the way you do business or a threat to your livelihood? It appears that financial planners are split in their opinions about the arrival of the technology that could sort out debts and tax affairs via mobile devices while consumers eat their breakfast. Last week we revealed that Snapchat may be about to join the robotic revolution (see article) and now Forbes is suggesting that human financial advisors are failing to view robo-advisors as a significant competitive challenge. According to Silviya Simeonova, senior analyst for Corporate Insight, low fees, high-end technology and transparent prices from the robots will lead to consumers expecting the same from full-service companies. John DeGoey, meanwhile, portfolio manager for Burgeonvest Bick Securities Limited, believes they are a legitimate and viable alternative to human advisors and the industry needs to sit up and take notice. “You can like it or dislike it, but ignore it at your peril,” he said. “They provide a legitimate means for the industry to segment itself and for people to determine what type or level of service they want. There’s also the possibility that people might leave DIY discount brokerages to work with robos, too, so it’s not just the human advice channel that might be cannibalized. Robo-advisors are effectively a wealth management service that use algorithms to suggest automated investment portfolios deemed suitable for an individual’s risk appetite and goals. Though currently in their infancy, a report from Cerulli Associates has suggested that robo-advice platforms will reach US$489bn in assets by 2020 – a rise from just $18.7bn today.